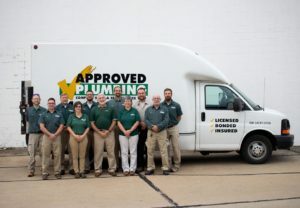 About Approved Plumbing Co - Approved Plumbing Co.
Dennis Schlekie is the president/owner of Approved Plumbing Co.. He is second generation, taking over the business from his father William in 1977. 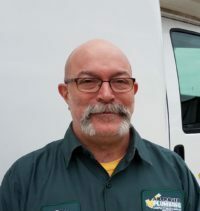 Although no longer in the field working as a service technician, he still enjoys the industry and helping to solve any challenges that the techs face. With a loving wife of 38 years and three wonderful grown children, he is ready to share his wisdom with the future of tradespeople. 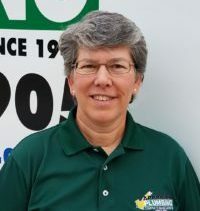 Sharon is the office manager at Approved Plumbing Co. She is an avid walker and has completed 2 marathons, and numerous half marathons. She has a son who resides in Texas and a Shitzu-Poodle named Oscar. Sharon enjoys spending time with family and friends, gardening, and being outdoors. 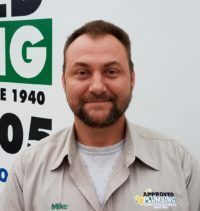 Mike R. is the field supervisor at Approved Plumbing Co., as well as a Licensed Plumber. Mike is D.O.T. Certified, Certified Backflow Tester, Certified Trac Pipe Installer, and Certified in Confined Space Entry. Mike enjoys helping people and likes to spend time with his two sons. He loves fishing and other outdoor activities. 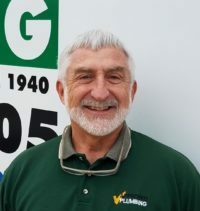 Carl is a born and raised Clevelander and has been in the plumbing industry since 2003. 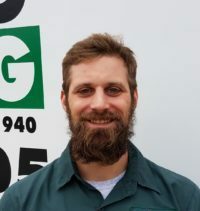 He enjoys having a hands on profession and helping clients have a well maintained plumbing system. Carl has a beautiful wife and four great kids! 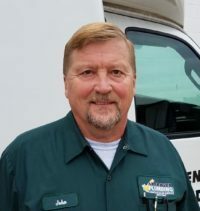 John is a laborer/helper for Approved Plumbing Co.. John is married to wife Kitty for 28 years. John likes to golf in the summer, work in his yard and clean around the house. John is known for being extremely organized, neat, and hard working. What many people don’t know about John and we are proud to tell you is he is a former United States Marine. 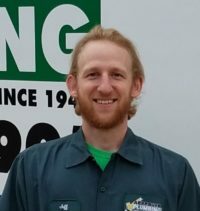 Jeff has been working with Approved Plumbing since high school. He graduated from The University of Toledo in 2012 studying Professional Sales and Marketing. Jeff enjoys playing basketball, being outdoors, and helping people. 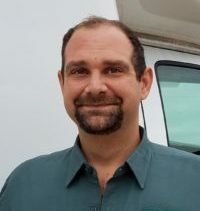 He is also the founder of The LitterBugz, an organization that proactively picks up trash while educating the public on the effects of litter. Russ has been in the construction trade for over 25 years. Russ started out at a lumber yard and eventually ran his own small remodeling company. He has been married for 25 years and has two children. Russ enjoy family dinners, spending time with the family, the outdoors, and sports. 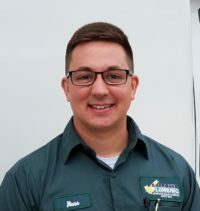 Luke has been with Approved Plumbing for three years. He enjoys helping people fix their plumbing problems. When at home, he likes to relax with his wife, son, and daughter. 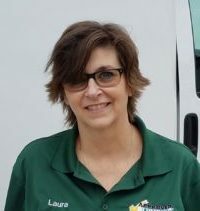 Laura looks forward to assisting you with your plumbing needs. She enjoys baking, knitting, and gardening. She has three daughters, one in St. Petersburg, one at Kent State, and one currently in the North Royalton high school marching band. She is happily married to her husband Stephen. She also has a Golden-doodle named Reggie! Orlando P has four kids and is married to his wife Amber. 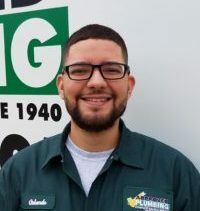 He has just started his journey here at Approved Plumbing. In his free time he likes playing with his kids, watching sports, playing baseball and basketball, and going to wineries with his wife. He also enjoys coaching for his oldest sons basketball team. Russ B has just started his journey with Approved Plumbing. He enjoys hiking, running, and all sports. He has a wife, two children and his dog to go home to. He is learning more everyday from everyone at Approved Plumbing and hopes he is here to stay for a long time. Do you have a passion for plumbing? Apply now to join our team!